San Francisco-based digital asset exchange Kraken has acquired the charting and trading platform Cryptowatch. According to Kraken, Cryptowatch is used by traders to chart over 150 markets in real-time and trade up to 22 digital assets. Over the past two years, Cryptowatch also increased its active user base by 700%. As part of the deal, Cryptowatch founder, Artur Sapek, is joining Kraken to both continue developing his baby and lead the development of his new owner’s interface. Kraken previously acquired three other Bitcoin exchanges Coinsetter, Cavirtex and CleverCoin, as well as the wallet funding service Glidera – soon to be rebranded as Kraken Direct. 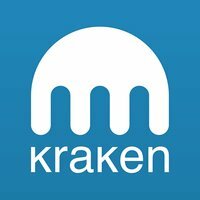 Kraken was founded in 2011 and says it is the world’s largest global Bitcoin exchange in euro volume and liquidity. Its clients also trade US dollars, Canadian dollars, British pounds, Japanese yen and ten other digital assets besides Bitcoin, including ether. The value of all cryptocurrency transactions will more than half this year, falling from $71 billion in 2014 to just over $30 billion. The decline was attributable to the combined impact of exchange collapses, Bitcoin theft and regulatory concerns. National Settlement Depository (NSD), Russia’s central securities depository (CSD), and Waves, a decentralised platform for launching crowdfunding campaigns and issuing digital assets, have embarked on a blockchain project. South Korea’s Shinhan Bank is launching a Bitcoin remittance service between Korea and China, with Hong Kong as an intermediary. The service will be available in December.